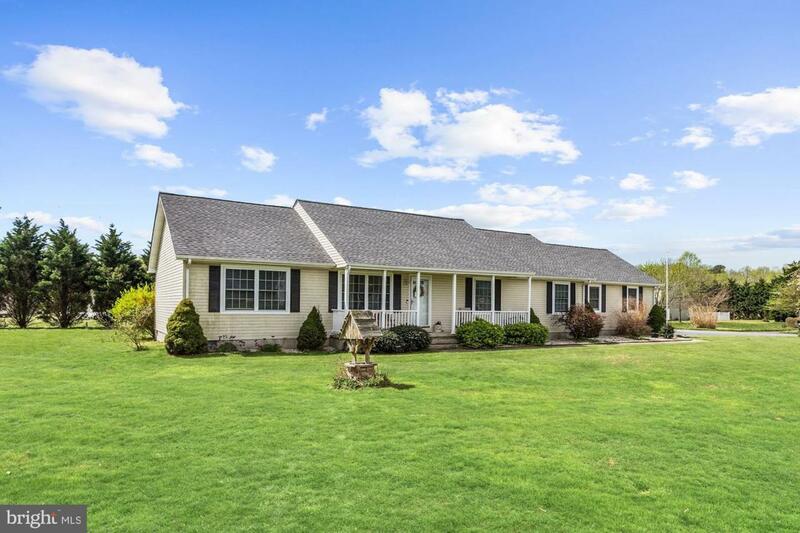 come check out this gorgeous ranch property!located right off of route 1. built in 2006 5 minutes from Milford 20 minutes from rehobeth. About 2 miles away from the new Milford hospital being inaugurated by sprint time great opportunity for you if you are transferring jobs or need to or need to be near the hospital. 3 bed 2 bath 1950 sq ft owners built a Florida room addition that adds the extra square footage newly renovated roof secluded back yard with tall tree lines for privacy. Attached garage with door access to inside fits 2 vehicles extended drive way fits 6 vehicles. great price for what you get huge lot! single family home, beautiful interior! Listing courtesy of Weichert Realtors-Limestone.